Author's Warnings: TRIGGER WARNING for discussion of mental health issues and bullying. Summary: Clint has OCD. They work with it. After all, this is the Avengers; everyone's got quirks. 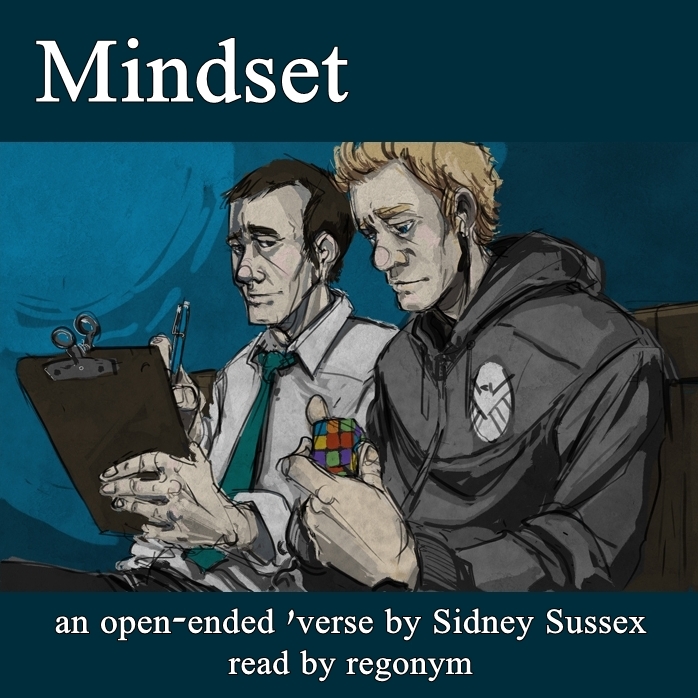 This collection contains Parts 1-5 of the Mindset series. They're also available individually here. I'd really recommend downloading the audiobook (M4B) version over the mp3 version for this; it has the advantage of having chapter breaks built in that will let you skip from story to story more easily. Feedback is always hugely appreciated! I've read and loved each part as you posted, and now I'm thrilled to have a podbook version of the whole series to date. Thank you for creating a complete mp3 and Audiobook version for this verse. I just listened to the mp3 versions after you posted the last one and I greatly enjoyed your reading. I love this story, so thank you! Thank you very much, I'm glad you've enjoyed listening to the series! YESSSS! *happy dance* I'm a very happy fangirl now :) Thank you!! You're very welcome! I hope my pacing isn't too fast for you - I think I may have actually sped up on a few of them, compared to Anchor and Hold. /o\ It's something I'm going to have to keep working on, I think. I loved listening to this on my way back from visiting my sister in Portland, OR! You did such an excellently-paced, subtle yet firm job with this interesting series, and I particularly enjoyed your reader's notes, very insightful and interesting...Thank you for recording this! Heee, you weren't too far from me! I'm glad you enjoyed, thank you very much for coming back to comment! This series kind of stole my heart for a while - it was definitely a case of 'pod farr recording'. ^^ I'm happy you liked the reader's note, too, this was my first time ever trying to include something like that. Hey, I just wanted to say how much I enjoyed listening to these stories! Your performance is rhythmic and subtle and soothing and so lovely to experience. I liked listening to your reader's notes too. Thank you! :D I don't know if I've ever told you this, but I think you are probably one of my most consistent commenters, and I really appreciate that! <3 I'm glad you enjoyed this set of stories, I have a lot of love for them.